There is no single known cause for depression. Depression is believed to result from a combination of genetic, biochemical, environmental and psychological factors. Each year over 17 million American adults experienced a period of clinical depression. 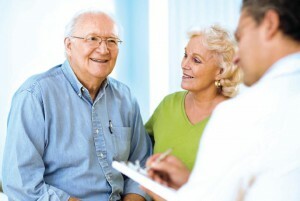 In Alzheimer’s patients, depression is a major problem that often results in agitation. Depression experts claim that many people with a depressive illness never seek treatment. Some have suggested that if antidepressants started working in hours or days rather than weeks or months—more people would seek treatment. Depression can take a serious toll on both Alzheimer’s patients and their caregivers. New scientific discoveries are being made to help bring relief faster. Dr. Paul Greengard, Medical Director of the Fisher Center for Alzheimer’s Research and his colleagues have taken a step in this direction. They have identified a key protein that might help drug makers create pills that alleviate the symptoms of depression faster. The finding, reported in The Journal of Neuroscience by Dr. Greengard, Dr. Jennifer L. Warner-Schmidt and colleagues in Sweden, gives further credence to the proposition (originally proposed by Greengard and colleagues) that a protein, called p11, is a key player in depressive illness and may lead investigators to new treatments. Previous research by Greengard, who was awarded the 2000 Nobel Prize in Medicine or Physiology, helped to establish p11 as a key component regulating the brain’s sensitivity to a neurotransmitter known as serotonin, which has long been linked to mood. The effects of p11 on serotonin signaling in the brain may contribute to an individual’s susceptibility to depression and his or her response to antidepressant treatment. Feeling sad, apathetic, or hopeless for weeks to months on end. Loss of interest in daily activities, especially ones that used to bring pleasure. Poor appetite and weight loss; or increased appetite and excessive weight gain. Trouble sleeping, waking up repeatedly during the night, or an increased need for sleep. Trouble thinking or an inability to concentrate. Focusing on non-serious physical complaints. Source: www.ALZinfo.org. 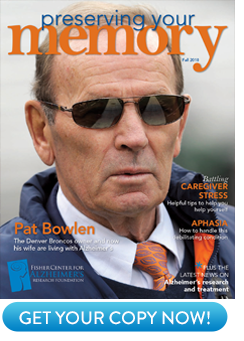 Preserving Your Memory: The Magazine of Health and Hope; Summer 2009.